Life Insurance corporation of India (LIC) finally plans to release their first online term product. While this might look surprising for a company which banks heavily on its strong agent’s network, it would also seem logical as the other companies (like ICICI and Kotak) which offers pure online term product are about 50-60% cheaper than LIC. To keep up with the competition, LIC believes that they must join the expanding online insurance market. 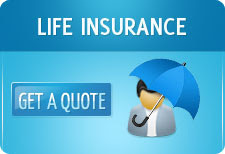 LIC is already the largest and the most trusted life insurer in India. If the online arm is added to its ambit they could reach even higher scales.